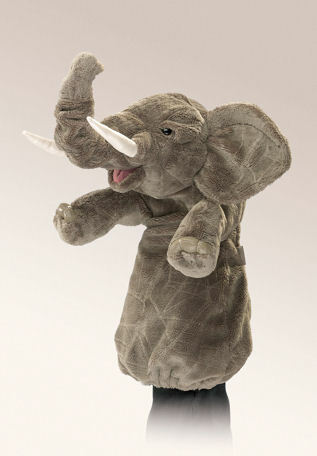 Description: This ELEPHANT STAGE PUPPET is one armful of fun with unique fabrics and a fun, movable trunk. Movable mouth and front legs. Trunk has pull-ring animation.